The Pag-IBIG Fund Chorale is the lone Philippine representative to the 8th International Choir Festival to be held in Pattaya, Thailand on 21 to 26 of July. The Festival will gather choirs around the world and aims to promote each participating choirs' chorale culture and tradition. This is the first time that the PFC will compete in an international choir competition and it is an honor for me to be a part of this journey. The Pag-IBIG Fund Chorale is the official choir of the Pag-IBIG Fund, one of the government financial institutions in the Philippines. The group was formally organized in September 2005. Initially composed of Fund employees from the agency’s corporate headquarters and NCR branch offices, the group supports the institution’s quest for excellence, proving that Pag-IBIG employees are not only capable of providing exceptional service to its members, but also in shining in arts and culture, particularly music. The group made its public debut in the Cultural Center of the Philippines’s “Liwliwa: Konsierto ng mga Kawani,” a light-hearted evening of songs uniting all musically gifted choirs from different government agencies. The Pag-IBIG Fund Chorale has participated in various competitions and musical festivals including the Madz Et Al Festival Series 2007, 2008, 2009, 2010 and 2011 and has graced local television shows. It has won several awards along the way, placing first place in the Philippine Social Security Association (PHILSSA) Christmas Carol Competition in December 2009, garnering third place in the People Management Association of the Philippines’ annual search for best chorale group staged in July 2006 and second place in 2007. 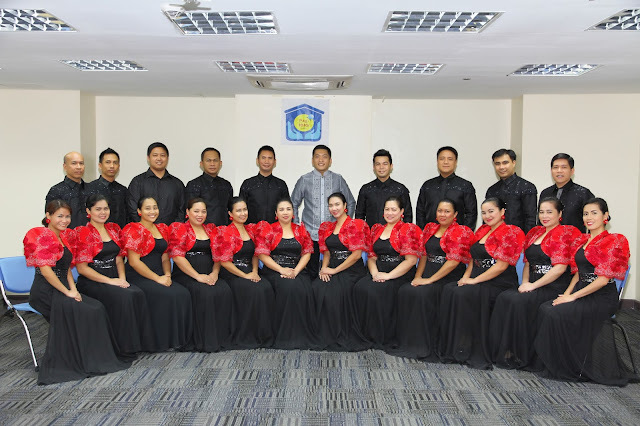 It also bagged the 2nd Runner Up during the Civil Service Commission’s (CSC) Government Choral Competition held in September 2011 and was part of Maestro Ryan Cayabyab’s One Thousand-Voice Choir Project on 19 November 2011. In September 2014, the Group was declared as the 2014 Grand Champion of the Civil Service Commission’s (CSC) Government Choral Competition. 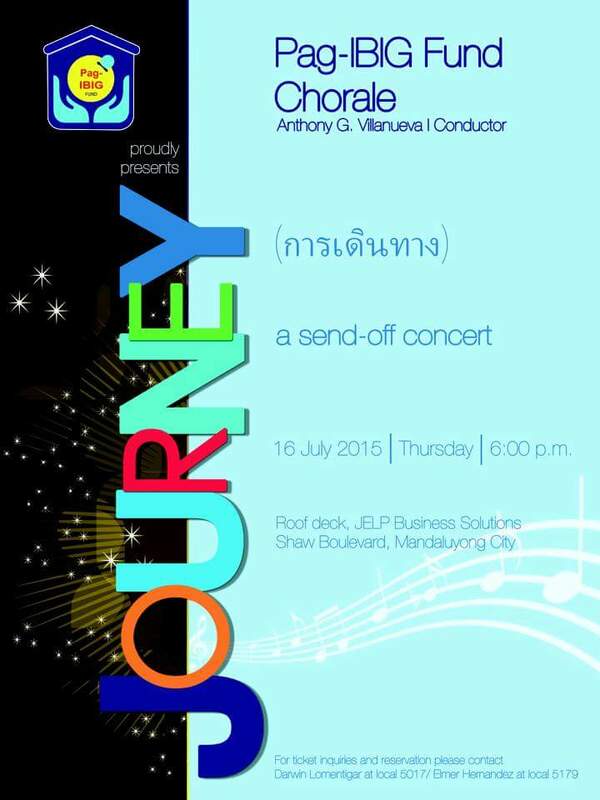 Among its many achievements, perhaps the most remarkable role the Chorale has played is that of being the Fund’s Ambassador of Goodwill, having done countless performances both during Fund events and has answered invitations of external entities as well. The Group has also initiated or became part of community activities like outreach events. The Chorale is being nurtured by its Choir Master Mr. Anthony Go Villanueva.